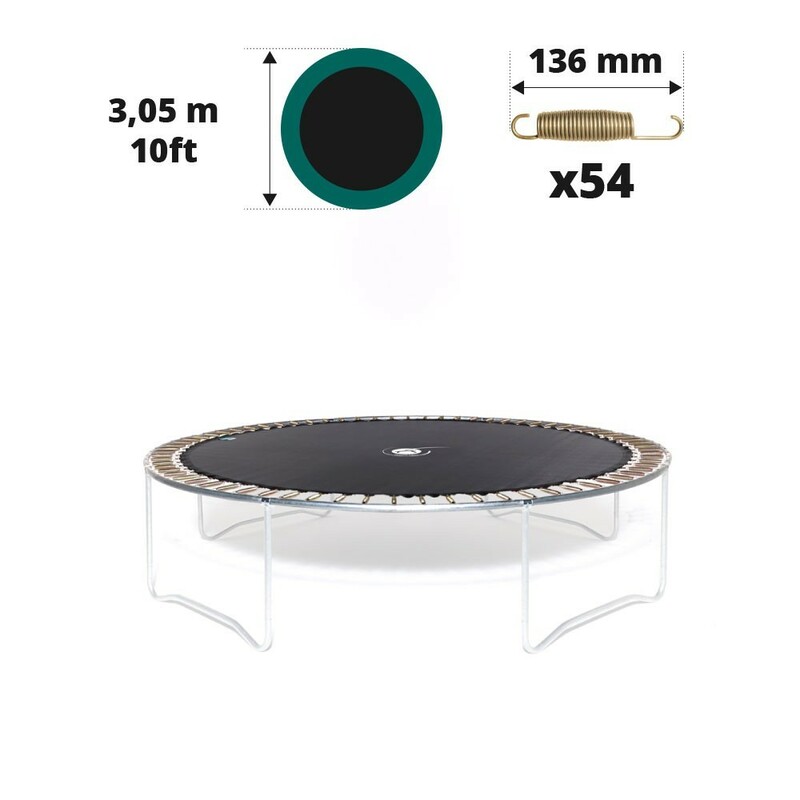 As soon as your trampoline's jumping starts showing signs of weakness and wear, it is essential that you replace and do not neglect the safety of those using the trampoline. 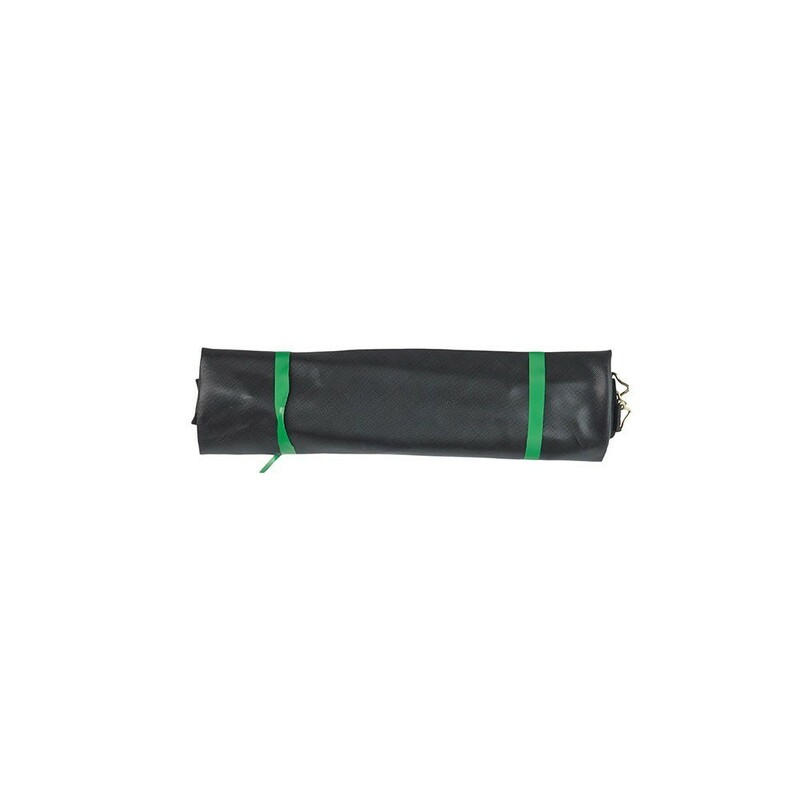 This spare part will allow you to renew your jumping mat at a reasonable price. 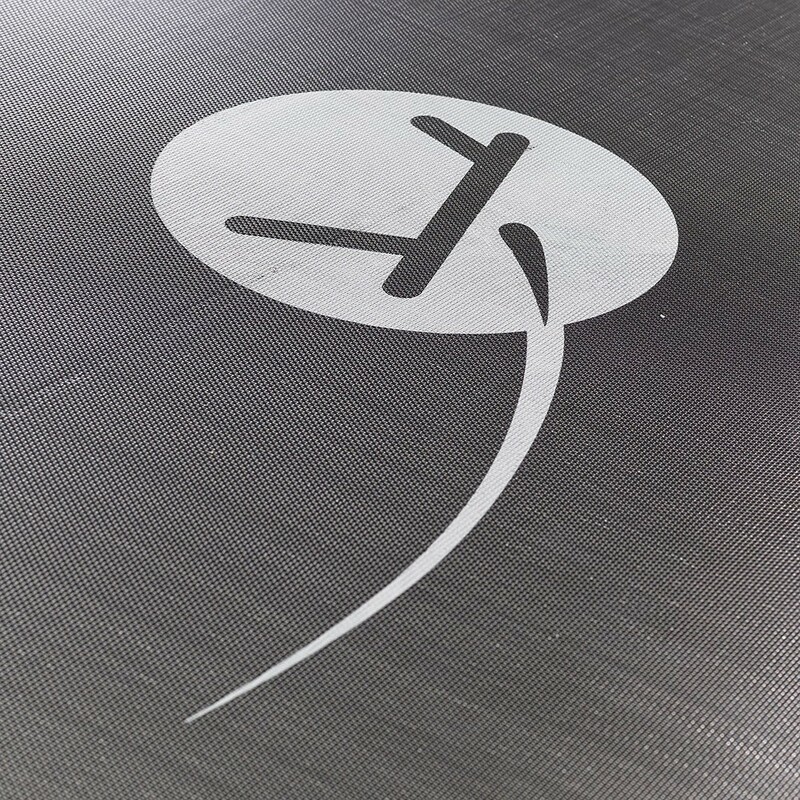 This jumping mat is compatible with France Trampoline trampolines and others. - Designed in a high-density black mesh, a fabric known for its robust qualities, it has been reinforced with a seam that has 8 rows of stitching and a reinforced strip, providing the utmost resistance against shocks and tears. 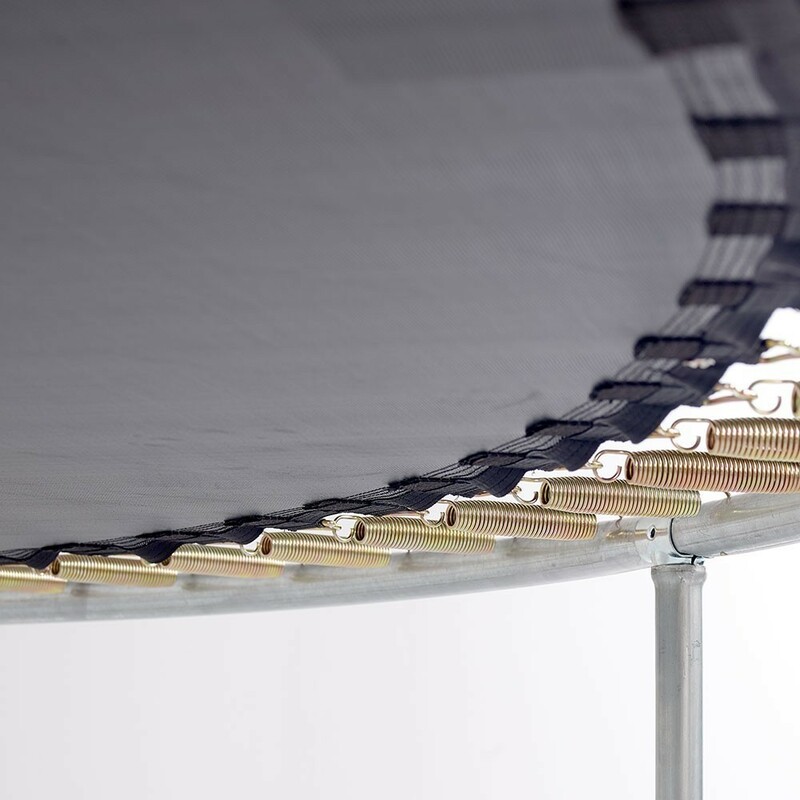 The hot-dip galvanised steel fixing brackets, attached to the straps are resistant to corrosion. - Treated against UVs, you don't need to worry about the weather, your jumping mat will preserve all its features. 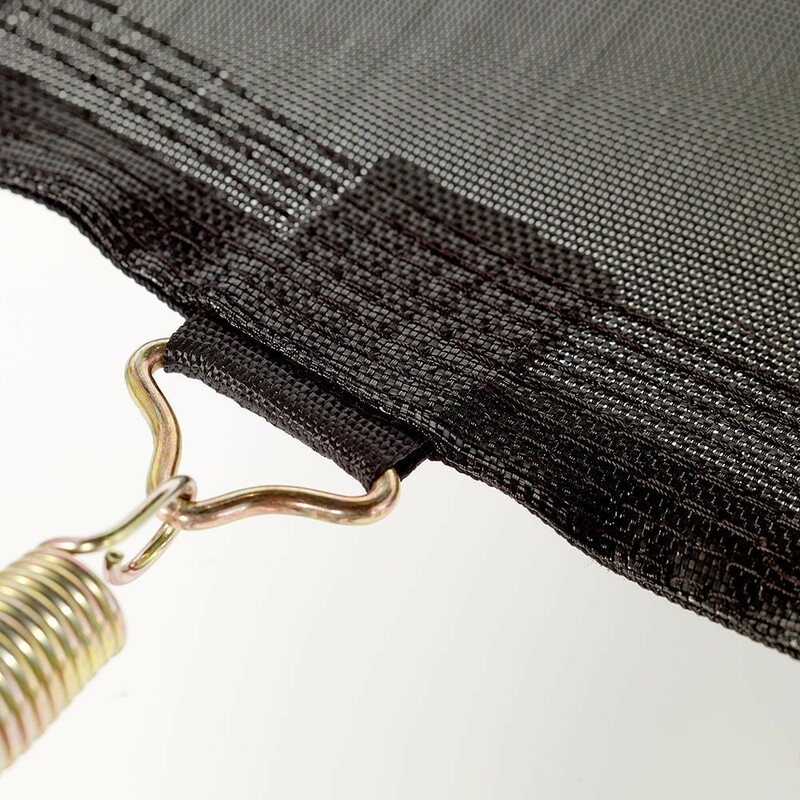 - Precisely measure these 2 elements: the diameter of your trampoline from steel to steel and the length of an unhooked spring, hook to hook in order to make sure this jumping mat is compatible with your trampoline.